CAT Syllabus 2018-19: Common Admission Test (CAT) is a national level management admission test conducted by IIM on the rotation basis. CAT 2018 Exam will be held on 25 November for the academic session 2019-21. Candidates who have applied for CAT need to check the complete CAT Syllabus 2019. CAT exam is the most difficult management entrance exam, it is not so easy to score highest percentile in this exam. The CAT syllabus has no boundaries; any question can be asked from the 3 sections and its sub-sections. The IIM officials will not publish the official syllabus for CAT exam. On the basis of previous year papers, experts have defined the topics from which questions will be asked. 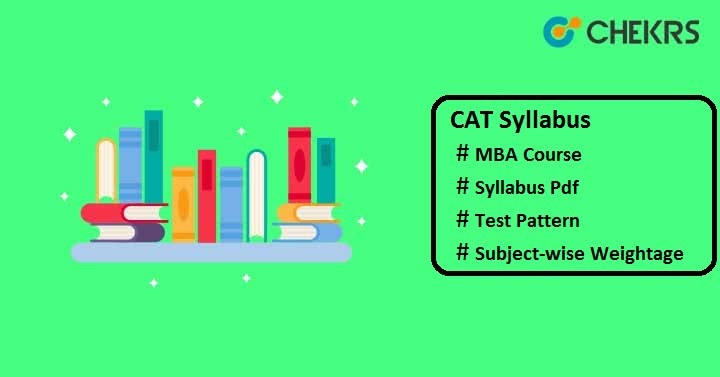 So here we have provided you the complete CAT Topic-wise Syllabus so that you can perform well in exam by achieving highest percentile. Even if you have all exam study material, but you are unaware about the exam syllabus & CAT Test Pattern, it will be difficult to proceed with preparation. The Exam Pattern will guide you about the marks distribution, question distribution in each section, marking scheme, mode of examination etc. Marking Scheme 1 mark will be deduced for each wrong answer. We recommend you not to waste your time. Follow the exam syllabus and make an exam strategy for better preparation. How much you study is not important, how smartly you study is more important. So after completing the whole syllabus, check the CAT Previous Year Papers so that you can get exact idea about the original question papers and topics and you can also analyze your preparation for CAT 2018-19. Hope we have shared the useful content to our viewers. Still you have any doubts regarding Syllabus, contact by sending your query in the comment box below.